Explore diverse landscapes, travel back in time, and discover unique populations, all without leaving your chair! Start your international tour in New Zealand, land of the kiwi bird, rugby, the Maori people, and so much more. 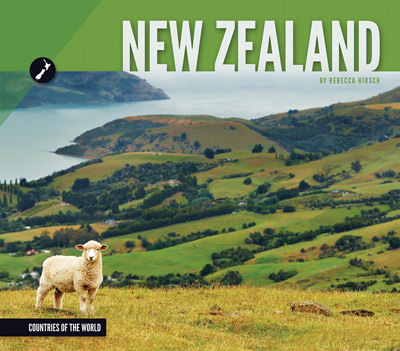 This colorful, informative book introduces New Zealand’s history, geography, culture, climate, government, economy, and other significant features. Sidebars, maps, fact pages, a glossary, a timeline, historic images and full-color photos, and well-placed graphs and charts enhance this engaging title.